Livid Instruments has announced support for the new Bluetooth LE MIDI standard for Yosemite OS X and iOS 8 on their Guitar Wing controller. This direct connection between the Guitar Wing and compatible devices puts the control of digital synths, samples, and effects right on a guitar. The Guitar Wing provides a bridge between guitars and control of digital effects, DAW, and digital instruments. It's designed to be an ideal tool for expanding a guitarist's sonic palette, and making it easier to record tracks in the digital studio. With native Bluetooth LE MIDI connections, the device shows up in the system with the reliability and ease of any 'hardwired' MIDI controller. It's also a controller for iOS, bringing the power of all the music apps and effects into the palm of the guitarist's hands - no cables required. On iPads and iPhones, the full array of MIDI-controllable effects can be controlled, from software like the AmpliTube guitar effects from IK Multimedia, Moog Filtatron, and even multitrack recording with Wavemachine's Auria. "There were a number of technical challenges in this", says Justin Moon. "but we wanted to shield our users from any transition, and make it as simple as a firmware update. 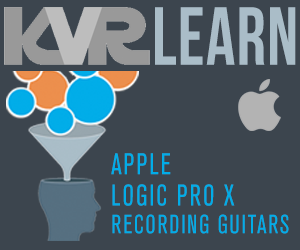 As a result, all Guitar Wing users will benefit from the update, and the ones with Apple gear are going to have a great new way to use the Wing." 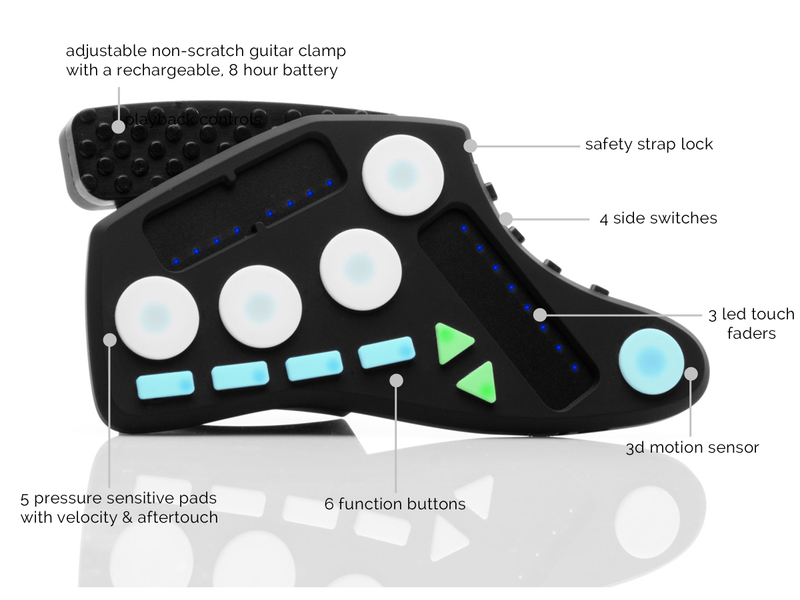 Easy to attach to any guitar, the Guitar Wing features 3 faders, 5 pressure-sensitive pads, 10 buttons, and a 3D motion sensor. The Guitar Wing works with any software that supports MIDI. Templates are available for popular products such as Ableton Live, Bitwig Studio, Apple Logic and more. 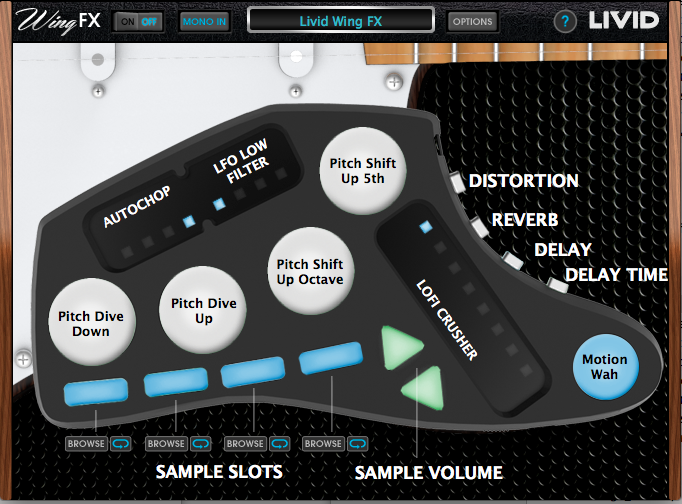 The free WingFX software, plugin, and iOS app make it easy to get started with the Guitar Wing.